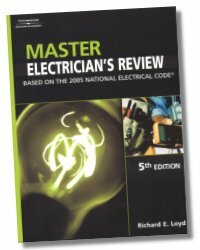 The success-proven Master Electrician’s Review has been greatly expanded and updated based on the 2005 edition of the National Electrical Code® to provide journeyman electricians with a clear-cut route to acquiring all of the knowledge and professional expertise they need to become licensed master electricians. New, realistic practice exams, plus a math refresher to update readers’ skills in working with fractions, decimals, square roots and powers, are just the beginning. Each easy-to-understand chapter in this concise, yet comprehensive, study guide invites the reader to examine a specific topic on the master electrician licensing exam in detail—from general wiring methods and branch circuits through special conditions and communications systems! The Master Electrician’s Review study guide is a “must” when preparing for licensing exams as well as a long-lasting reference that can be used to solve the challenges of today’s most complex electrical installations. An introduction to examinations, national testing organizations, and approved testing laboratories is included to acquaint readers with all aspects of master electrician licensure. Chapter-end questions are now styled like the ones on licensing exams, allowing users to identify topics they've mastered and pinpoint those that require further study. 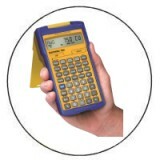 Questions about NEC®-related topics require users to cite specific Code references, providing practice in using the NEC 2005 plus familiarity with the new Code requirements. Three complete practice tests mimic actual licensing exams; familiarizing users with standard exam formats, helping them assess their readiness, and building their confidence. Answers to all tests and questions are included in the back of the book, making it perfect for self-study. Sample Examination - 75 Questions. Capable of Carrying the Fault Current. 397 Pages - 8-1/2 x 11 in.